I love giving gifts. But more importantly, I love giving gifts that people want. I love seeing a look of excitement and joy on their face when they open their gift from me. At that moment, I know that I nailed it. You may be wondering what to buy a traveler? Gifts for travelers are often a matter of taste. I find luggage to be an incredibly personal preference, as are cameras. Both are great gifts for travelers, but I would caution you to ask your traveler pointed questions before investing in either of these purchases. There are many gifts, however, that are quite universal. Here is a list of travel gift ideas for her or him that I find delightful and would be happy to receive. Journal–You don’t need to be a travel writer to enjoy a journal dedicated to your journey. There is nothing like gazing up at the Eiffel Tower or experiencing gelato in Italy to turn one into a writer. The traveler in your life can jot down pre-trip notes, write impressions of the trip, note great restaurants, sketch, or make future plans (I find that every trip gives me reasons to go back). I prefer Moleskine’s large notebook (around $14). Their leather covers have a luxurious feel. The silk bookmark makes it easy for me to find the page that I last jotted a note down on. There is a pocket in back for me to keep ticket stubs and other souvenirs. The elastic closure keeps the journal closed tight and lets me keep additional papers (like maps) safe while traveling. My preferred writing instrument is the Pilot G-2 pen in fine (.07). The gel ink rolls across the paper smoothly and dries quickly. Travel Guides/Phrasebooks ($10-20)—If you know the location of your traveler’s next trip, a travel guide or phrasebook would be a thoughtful gift. Or, if they already have an e-reader, you might want to get them a gift card to buy those types of books. Travel guides, like travel blogs, provide inspiration for sites to visit, restaurants to eat at, and places to stay. They often have maps to help travelers get a visual of what the city looks like. Although I write travel blogs of what to do, where to eat, and where to stay, I love seeing what others recommend. And even though I use Google maps to navigate through a city, I still like to look at a printed map to get my bearings before I even step foot off of a plane. Foldable bag—I tend to come home with much more than I left with. What roaming historian doesn’t? I find, therefore, a bag that folds into itself invaluable. I can load it in my purse and use it throughout the day. They are great for buying food for a picnic or carrying souvenirs. My favorite is the zippered “Hide-Away Tote Bag” by Rick Steves ($19.99). 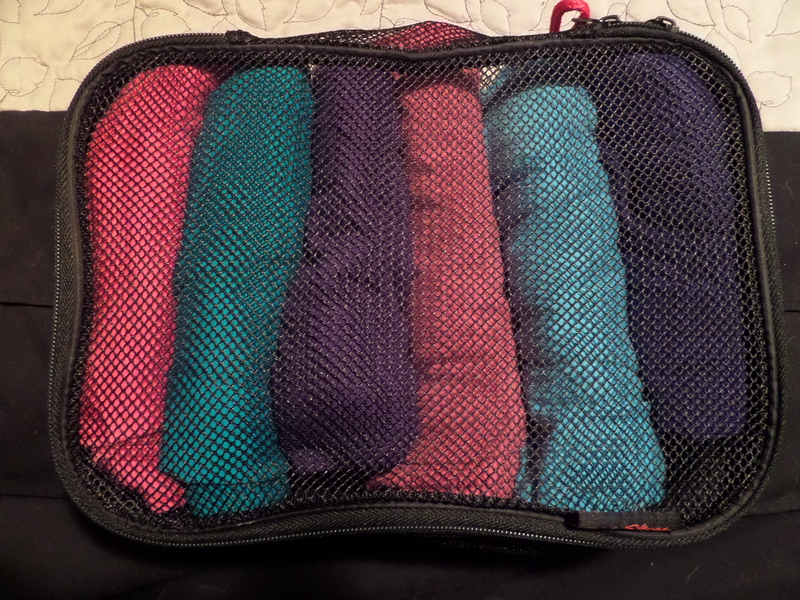 It’s lightweight and folds into a small size (6″x10″) that takes up very little room in my luggage. When unfolded, it expands to 22″x8″x16″! I can carry loads of stuff and the fact that it zippers shut means that I don’t have to worry about my valuables falling out. If need be, I can then use it as a carry-on on the way home. Portable charger ($20+)—Portable chargers are handy to keep a traveler’s phones, cameras, and tablets ready for action. Although many planes now have chargers at each seat, these can be helpful for travelers who are going places where there aren’t as many charging outlets. I like the Halo brand. I keep a small one in my purse for those times when an electronic needs a charge and no other outlet is around. Stocking stuffers—They may not be the sexiest gifts, but electrical adapters, TSA-approved locks, mini umbrellas, travel throws, sleep masks, and compression socks are all thoughtful (and fairly inexpensive ($5-30) gifts. Electrical adapters and TSA-approved locks are handy goodies to fill a stocking. 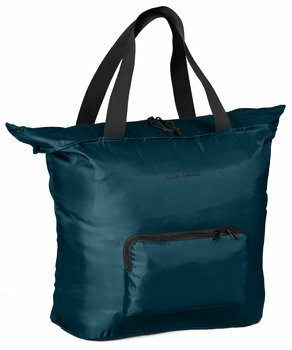 Umbrellas that fold into compact packages will keep your traveler dry while not adding a lot of bulk to their load. After making sure that your loved one is dry make sure that they stay comfortable by buying them a gossamer-light, soft blanket (or shawl) to ward off the chill of an airplane cabin. Sleeping masks can help them get needed shut-eye while journeying, and compression socks can help reduce swelling. Money—Gift givers are sometimes averse to giving cash, because they think it seems impersonal. But to the traveler, it may be the best travel gift you can give. Most people are on some type of a budget. By giving cash, you may be freeing them to enjoy a meal in a pricey restaurant, buy a piece of art from a local artist, gorge on daily gelatos and espressos, or purchase a gift that they wouldn’t normally buy. You are giving them the gift of wonderful memories or tangible goods that will continuously bring them pleasure. It is, perhaps, the best gift that you can give a traveler. Just make sure that you tell them to spend it on something special. My favorite items are the ones I’ve purchased on my travels. I love looking at the art I’ve purchased from around the world. With gifted money, I’ve purchased expensive chocolates in Paris that I hadn’t budgeted for and wouldn’t have bought otherwise. Walking into a swanky shop on the Champs Elysees and ordering a chocolate confection with gold leaf is a memory that I won’t soon forget. Thanks to monetary gifts from my loved ones I have wonderful memories and mementos that make me think of the person who gave the gift and the place where I visited. And that is definitely a gift that keeps on giving!